Kraken Rigging Pt.2: Setting up the Bait Tank. With your kayak set up for live bait, you will get more big fish. 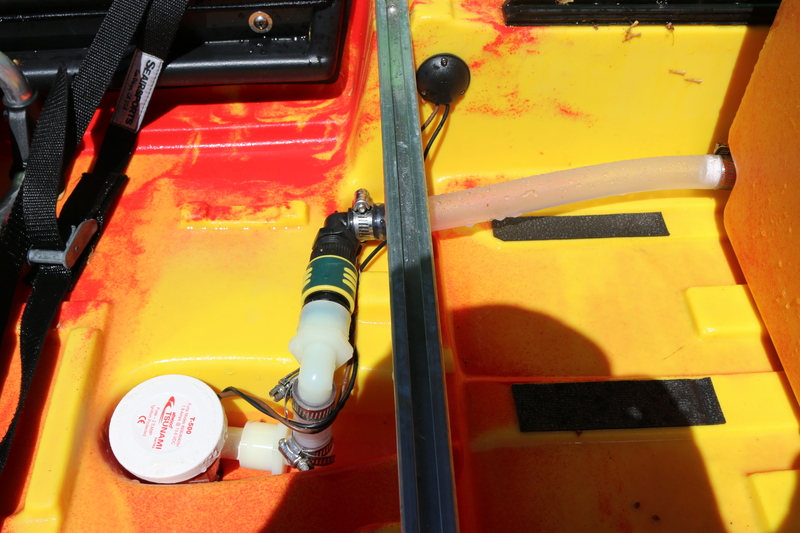 In this second part on rigging the Kraken, we will show how to set up the bait tank. After getting my Kraken, my first stop was visiting my local Jackson Kayak Dealer, OEX, to get some rigging done. Sure I could do it all myself but they have all the tools and parts I needed to make it a fast and easy job. 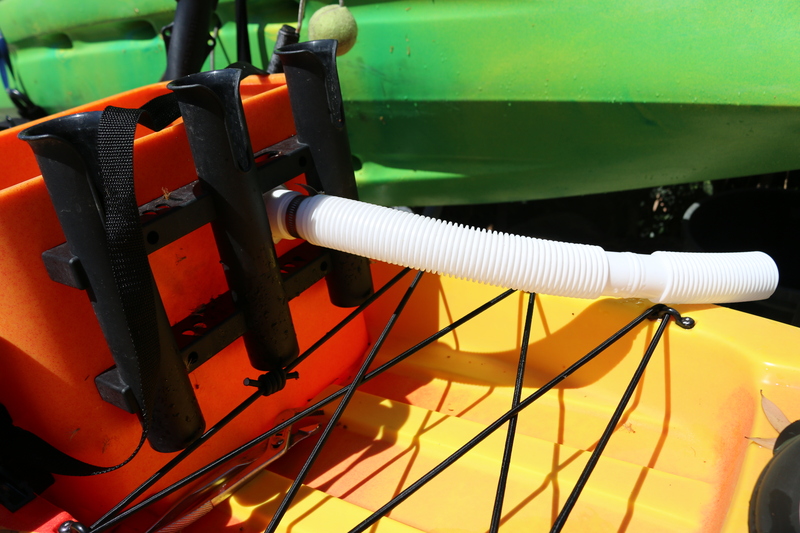 The Kraken was designed to be easy to set up for live bait fishing, and turning the included KKrate into a bait tank is the first step. Below I will give you a quick photo walk through of how we turned the KKrate into a full circulating bait tank that can hold a lot of big live baits, and hopefully help you get on some big fish. 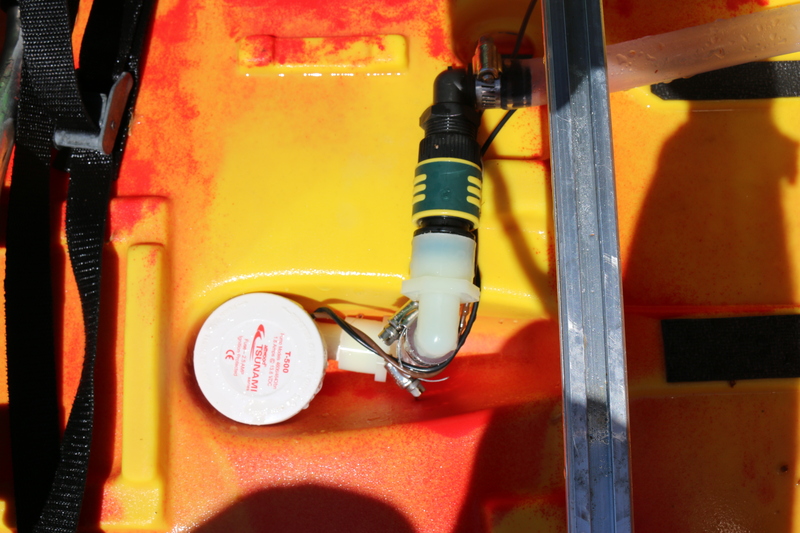 This is a pretty simple job but does involve doing some wiring and drilling of holes into the kayak and your KKrate, if you are not comfortable doing this please get you local shop to help you out. I am not going into the details of wiring here just showing what we used and where it was placed. For my bait tank set up I would be running all wires internally and running off the same battery I use for my fish finder. 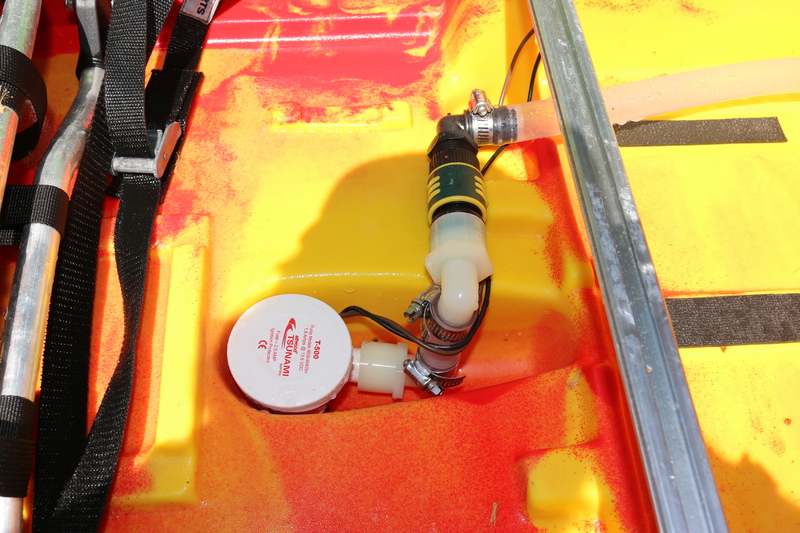 This battery sits in the included battery tray at that bow of the kayak. All wires run to this battery so you do need a little extra wire. Because I have the bait tank wired internally I had to first decide my switch placement. I decided to put it on the side wall of the kayak just forward of the seat. This kept it at easy reach but in a position where I would not accidentally hit it. Be sure to get a good waterproof switch and the rubber boot. 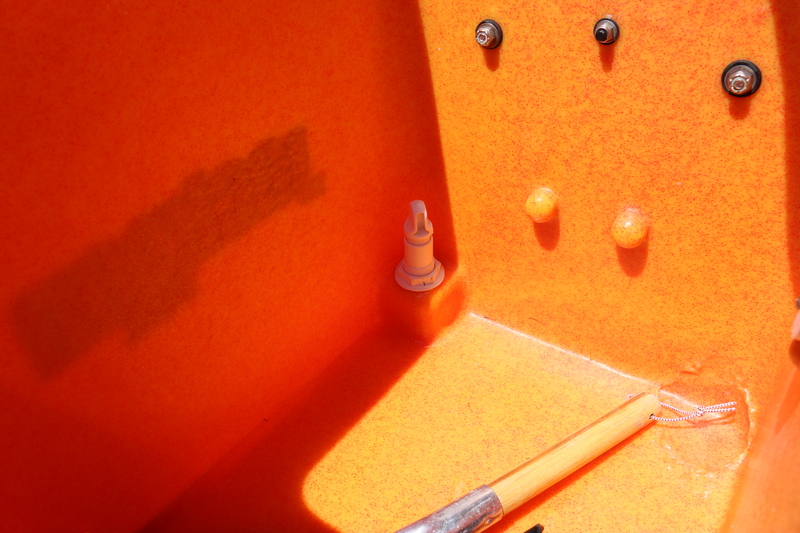 Bait tank switch on side wall in front of seat. Setting up the pump is pretty simple, you just need some short lengths of tubing, a couple right angle connectors and a hose quick disconnect. We ran the wire from the pump through the side wall in a position where it was least likely to get hit or pinched under the seat. 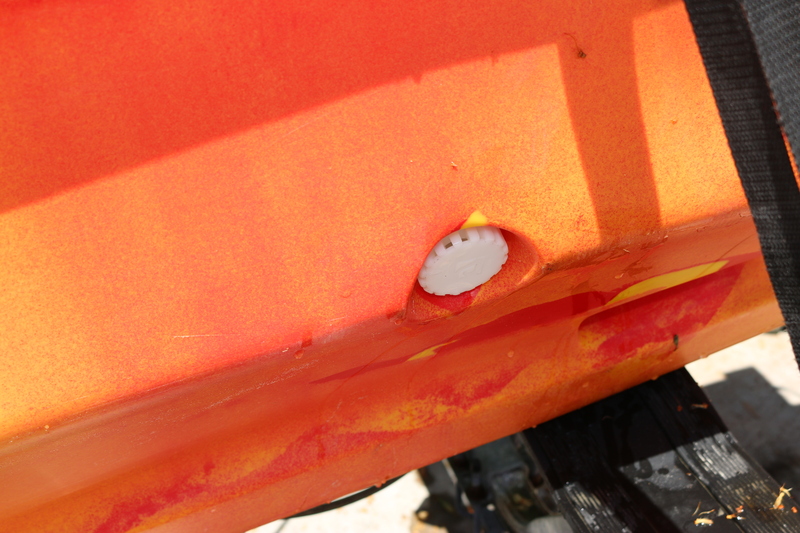 The pump sits in the bait pump scupper. (Bottom view) The pump is held in with the screw on strainer. this keeps debris for getting in the pump. The quick disconnect is the green part that you see in the tubing. 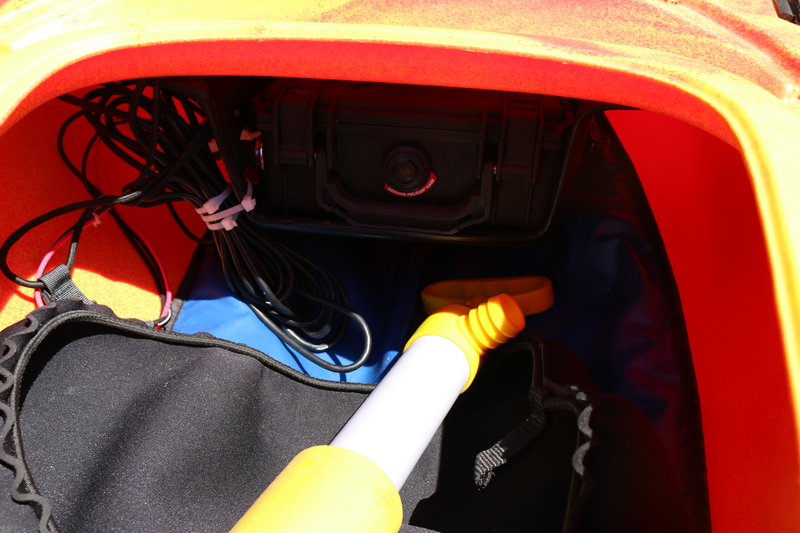 It is not necessary but makes it much easier to take the tank off if you want to while leaving the pump on the boat. Use the quick disconnect it makes things much easier. After you have set up your pump you need to drill out and set up the KKrate for the input, overflow and drain. The KKrate is set up with a step in the bottom corner so that you can put in the adjustable spray head from the bottom. This keeps the entire setup very clean without tubes going all over. I like the adjustable spray head so you can adjust the flow depending on the bait you have. 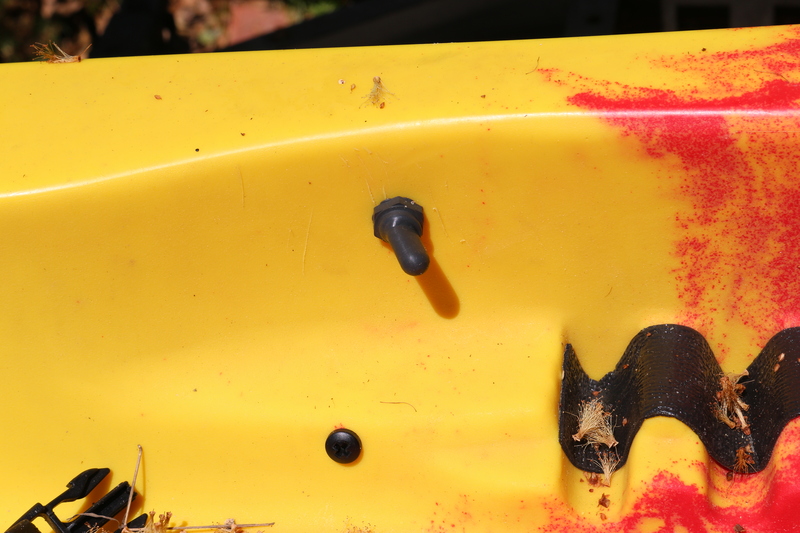 The overflow has a strainer on it to keep baits from getting out and a long tube to the water flows off the side of the kayaks. The drain is an igloo cooler drain. So that I can access it easier I put the drain cap on the inside of the tank. View of front of tank, left corner is the input to the spray head. right corner is the drain. A look at the adjustable spray head. Overflow. I put mine on the back of the tank to get it at the height I wanted it. but you can put it anyplace you like. 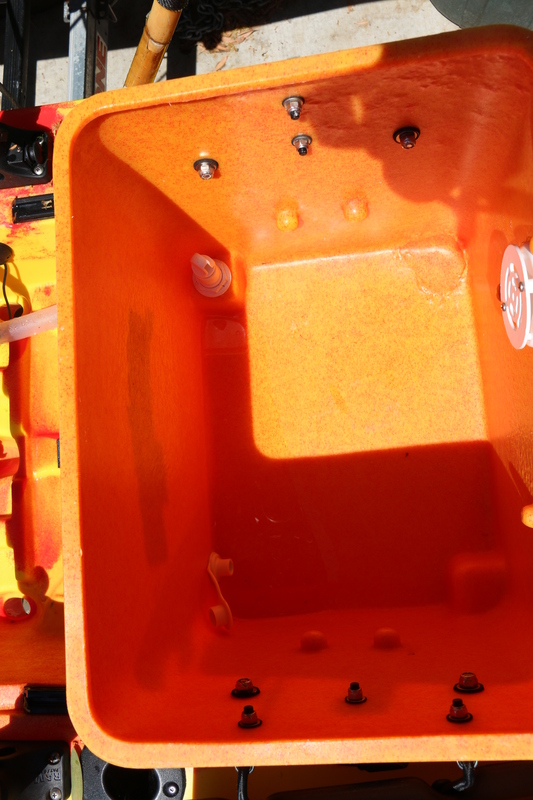 KFS battery box that supplies power to my tank and fish finder. I hope this helps you to easier set up your Jackson Kayak Kraken to be a fishing machine. 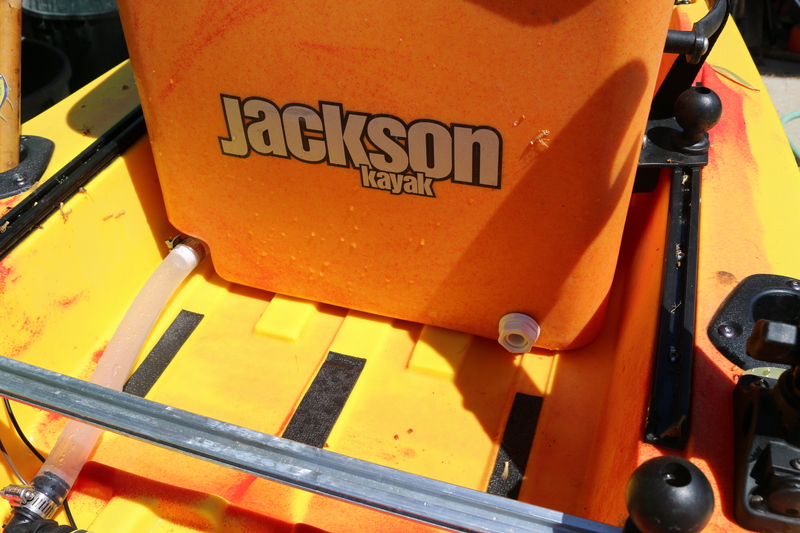 You should be able to find all the parts you need at your local Jackson Kayak dealer or at KFS.